Welcome to TDATS 83, the Swiss special. Switzerland is not a country that crops up very often in searches so I gladly took on the challenge of finding the best hour's worth of hard, progressive and psychedelic 70's rock I could of the country. Switzerland didn't produce such a large volume of it's own music, which is understandable for a small country. Also, the country's talent blurs over it's borders, especially with Germany and Austria so it got absorbed into the great music of those, especially Germany, along with Italy and France. I presume Swiss musicians are just as likely to have ended up working in any of the four countries bordering it as at home, or further afield in Europe. I must thank the blog williamtellsguitar for giving me many pointers! Toad, from the City of Basel in the canton of Basel-Stadt, were one of the most skillful bands in Switzerland. They shared two members with Brainticket (mentioned later), drummer Cosimo Lampis and bassist Werner Fröhlich, but they were very different to those psychonauts. 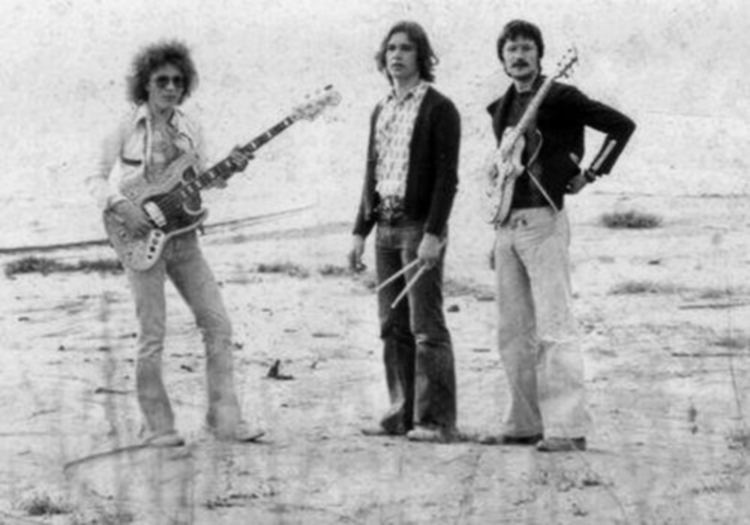 They were completed by Italian guitar wizard Vittorio "Vic" Vergeat, who has a website from which I took this snippet:"VIC VERGEAT wrote and recorded his first song at age 15 with the BLACKBIRDS, 3 years later he moved to London to record the first TOAD album, produced by MARTIN BIRCH (IRON MAIDEN, DEEP PURPLE). 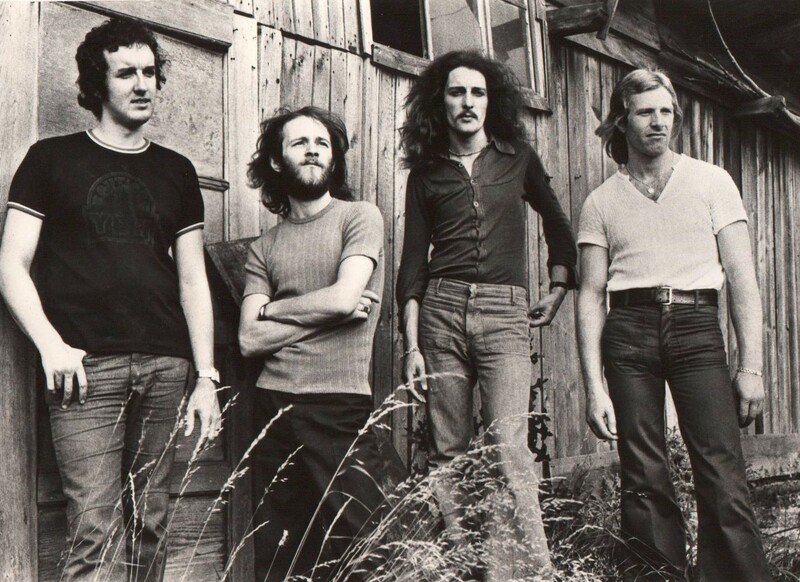 When TOAD returned to Switzerland, the record hit the top of the charts and with the release of TOMORROW BLUE the band established itself as one of the leading CULT group of the 70's". After Toad, Vittorio attempted a solo career which didn't work out, but he's continued to play in various other bands and still does now, including The Vic Vergeat Band. For this comp I have used 'No Need', taken from their second album, 'Tomorrow Blue', which is a great example of how naturally Vittorio could peel off those blazing blues licks. 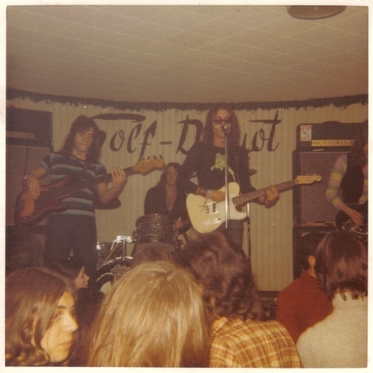 Spot were Pavlo Pendaki (vocals, keyboards), John Woolloff (lead guitar, vocals), Andre Jungo (bass) and Philippe Dubugnon (drums). 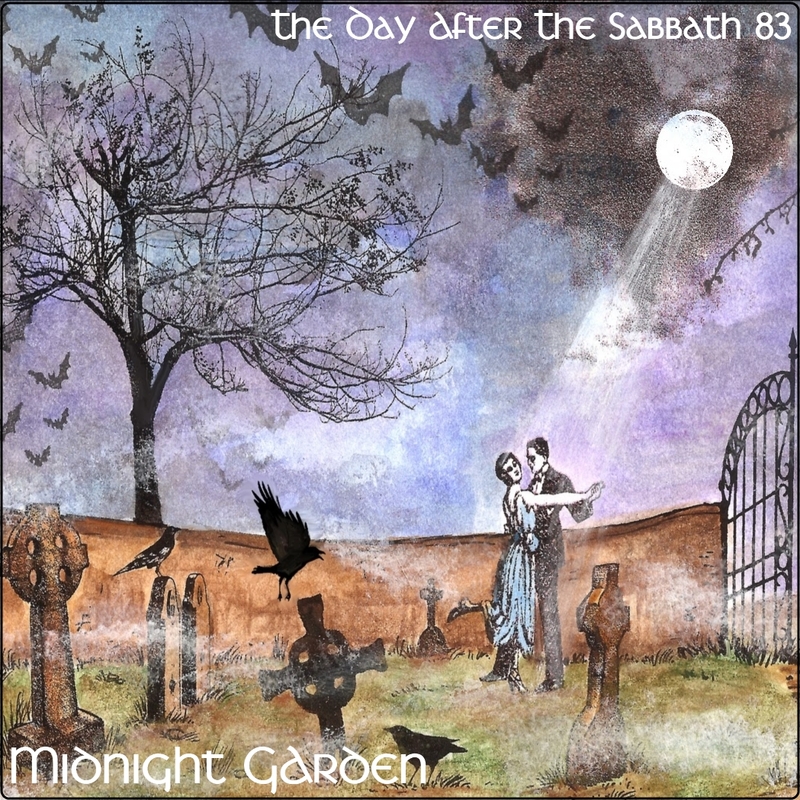 They made one album in 1971 that was limited to only 450 copies so it is very collectible Their most obvious influence was Led Zep, though that is not particularly obvious in the track I chose here, "Oh What A Day', the heaviest of the album which was equally full of folky ballads and not really a 'must have', although I did dig about four tracks on it. 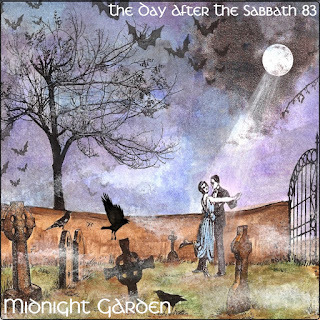 The track I chose here, 'Oh What a Day' is definitely a good'n, it has an excellent hammond-powered riff with that awesome sludgy 70's sound. Something a bit different now, Zurich's Round House were an ensemble with a wind section that were comparable to Chicago in that slightly jazzy, soul-rock kind of way. Not a type of band I include often, but they did have a lot of insistent groovy riffs in the mix which is why I also used them back on Vol60: Brassrock Special. 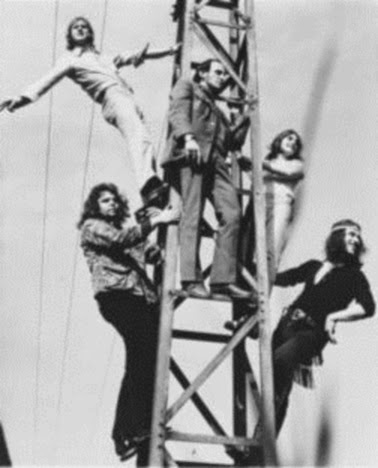 They only recorded two albums and 'Alchemy Is Good For You' is taken from their second, 1972's 'Down To Earth'. 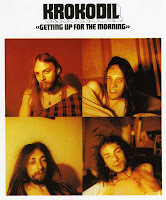 Although their name and album art would have you think they were a hard rock band, Zurich's Krokodil had roots in blues rock and soon began to take on psychedelic trappings, although they could also rock out if they wanted. They came to be regarded as part of the krautrock sound, with their frequent extended trips like Linger, which has tablas and sitars melting into harmonica, exposing their blues heritage. 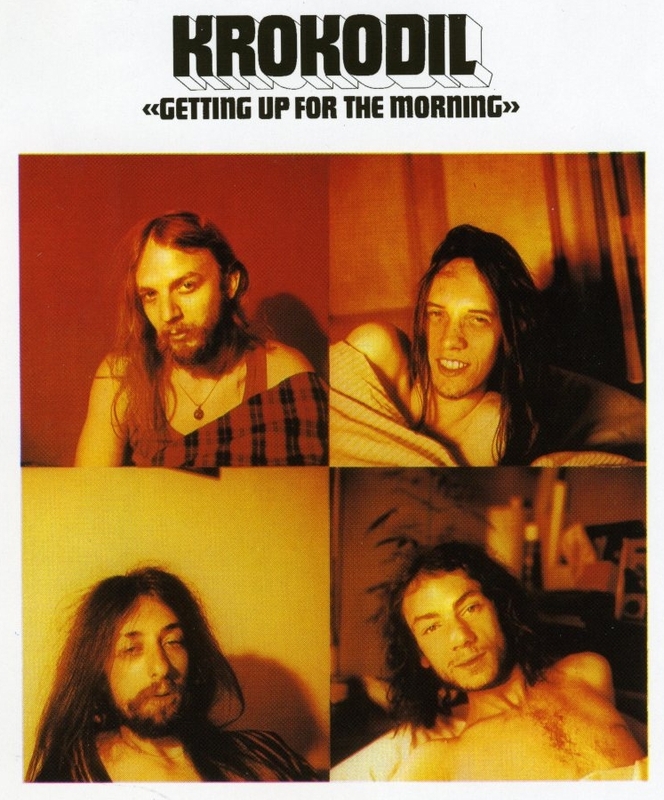 The track I used, 'Rabatz', is from their fourth album 'Getting Up For The Morning', which has a pretty awful cover depicting the band in seductive poses just waking up in bed, but it comes out looking like a bunch of junkies waking up for their first fix of the day haha. Kedama made a limited number of their only self-made album 'Live at Sunrise Studios', and it certainly has the feel of a one-session live set, which is impressive as it's fairly complex prog. It's mostly lead by the considerable keyboard skills of Richard Rothenberger, who produces a staggering range of sounds from a big keyboard rig (see photo - and there is a great photo archive here). Richard uses mellowtron and all manner of sounds, but it all works and never feels like too much as the extended song lengths give each passage time to develop fully, and it's all equally backed up by Christian Linder's Fripp-like guitar and Peter Suter's subtle drumming. A really great album that I think will be of interest to post-rock fans and those who like long experimantal instrumentals, the track I used here, 'Finale', is almost like one album condensed into 12 minutes, and is the kind of thing that retro-prog bands like Zombi and Titan are trying to hark back to. 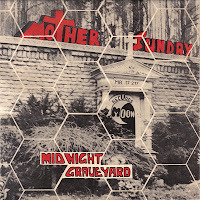 The best way to present the doomy single from Zurich's Mother Sunday is to use the exclusive interview with keyboardist/singer André Lehman that I found on this blog: "Mother Sunday was formed in ca. 1969 under the name “The Juice”. We consisted of a guitar player by the name of Gégé, a drummer whose name I cannot remember and myself on keyboards and vocals. Our repertoire consisted of current chart hits cover versions and we were a very busy band on the weekends with three to five halfhour gigs in different locations a night. We never had a permanent bass player, always guests, once even a young girl by the name of Heidi. By 1970 a new bass player joined as a guest, his name was Michel. He was a real crazy hippie with extremely long hair and he introduced us to “substances” to open our minds. LSD changed our attitude to music instantly and from there we were open minded to experimental live jam music. At the time in Zurich (Switzerland) there was a rock club in the old part of the city called “Star Club”. 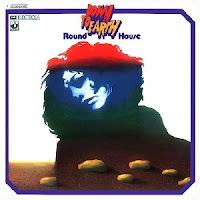 Many later great worldwide success acts played three 45 minute sets every evening for three weeks on a very small stage like “Spooky Tooth” “The Nice” and “Black Sabbath”. 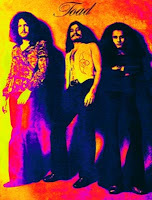 We hung out with the Black Sabbath guys a great deal and started to get into the dark groove musically. That’s when we changed our name to Mother Sunday and from then on the days of covering chart material were over. We went creative. Our repertoire built up on a general tune but always with open improvisations during gigs all depending on our state of mind. Soon a fan base of like minded people developed and followed us to wherever we went to play. The line up was Rolf Sydler (16 at the time!) on drums, Michel Leuenberger on bass, and me André Lehman on keyboards and vocals. We toured the country a lot and also did many gigs in southern germany and western france and played quite a few high profile open air festivals. 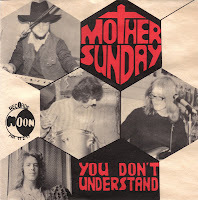 In 1971 we were offered a deal for a single by Moon Records, the owner being a good friend and the drummer of Sysiphos, a great experimental swiss band!!! The single reached the “BLICK” top ten in Switzerland for a couple of weeks. The band stayed together for another two years doing many gigs but things went downhill when the parents of the drummer were so concerned about their sons health or sanity or whatever you want to call it and basically lured him out of the band with money and fancy cars etc. We auditioned many potential replacements over months but since we were such a close knit outfit we were unable to find and therefore split up. After that, I got involved in the music industry and for over 30 years I headed record companies, owned a record company, produced many bands etc. I now try to live a quiet life here in Ireland and have again found the time to go back to my musical roots by producing my own stuff at home for my own pleasure or for the pleasure of those who are interested." 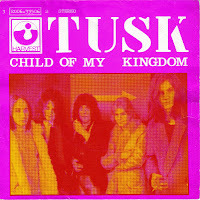 Tusk's single, from 1970, was one of the first ever Swiss hard rock releases. 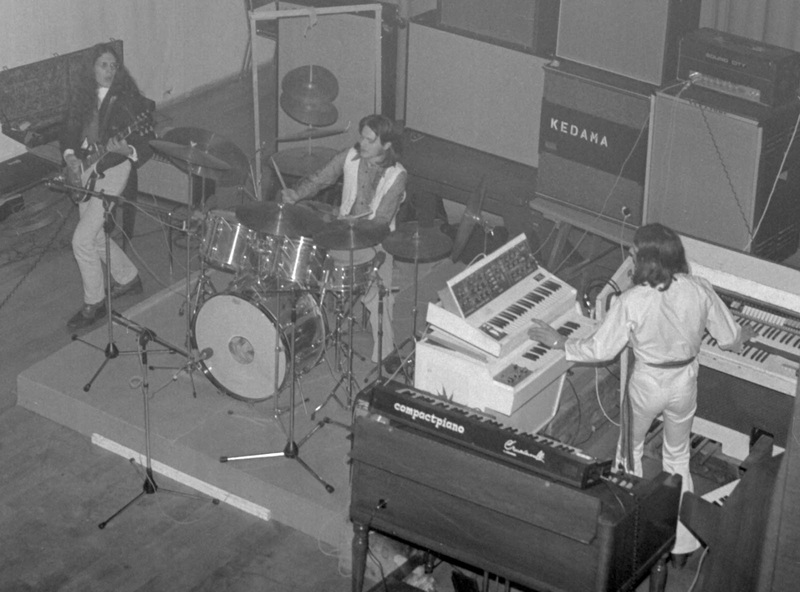 They included guitarist Volker Armand and keyboardist Philippe Kienholz who would both go on to join Tea, another well-regarded Swiss band. 'Child of my Kingdom' reached number 7 in the charts so must have been many Swiss kid's first introduction to hard rock, excellent, and it's a great song too! I found and translated some Tusk information from this wiki: "The hard rock group Tusk was founded in 1969 in Zurich and had their first gig at the supposedly fourth October 1969 as the opening act for Deep Purple at the Casino in Montreux on "Super Pop Montreux". 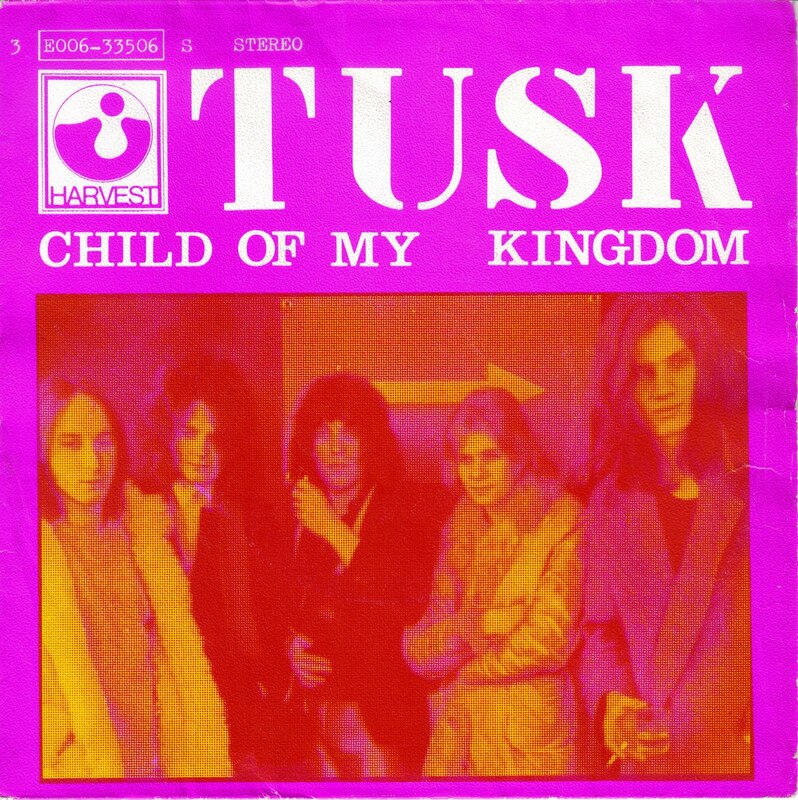 In the summer of 1970 came with the Single Tusk Child of my kingdom until number 7 in the Swiss charts. 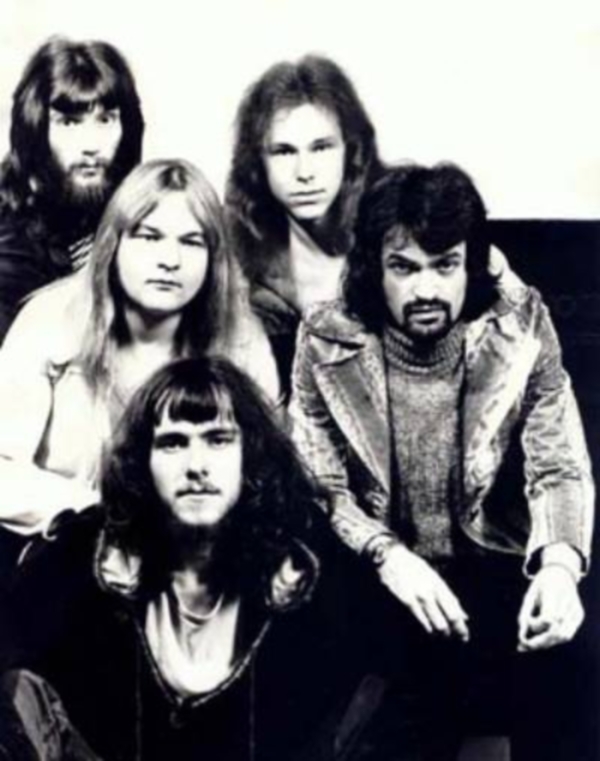 The band captivated by an oriented Deep Purple sound and by their charismatic singer Ernst "Fögi" Voegeli , who Mick Jagger was taken as a model and was putting on a proper stage show. He caused a sensation but also, above all, because he did not conceal his being gay. "Fögi was a hero, a pioneer, a revolutionary", novelist Frank Martin said later." Half-way, and we get taken deep into the helix by Basel's Brainticket. They were started by Joel Vandroogenbroecka, a Belgian jazz piano prodigy who started the band after inspiration from the likes of Amon Düül II, Can and Tengerine Dream. It's been said that listening to Brainticket is the closest you can get to an altered mindstate without smoking or popping anything. They suffered a lot of censorship due to the perception of their connection with drugs, which admittedly they didn't do much to avoid; They labelled their debut album, 'Cottonwoodhill', with the tag-line "Only listen once a day to this record. Your brain might be destroyed”. Brainticket have announced more performances in 2013, including the famous SXSW festival in Texas and a tour with founding├┤awkVVind member Nik Turner, along with some punk luminaries. Along with Toad, Bienne's After Shave were one of the only notable Swiss hard rock bands to recorded decent albums. They were different to Toad in that they had less guitar flash and a gruntier, heavier sound. Think Budgie rather than Cream. I like the 1972 debut album, Skin Deep', so much that I used 'Near The Sun' way back on Vol10, and in writing for this volume I just discovered they made a second album in 1974 that was never officially released, apparently due to a studio bill dispute. I have managed to track down the second album, 'Strange Feeling', in mp3. So, along with a track from the first, 'Skin Deep', I include the final track from the second album; 'Skip The Race'. There is a great bio of the band here, from which I learn't that just after signing an English singer, Barry James Brown, they were all set to be signed by EMI-england on the strength of a new single 'So You're Gone Away'. At the final hour EMI dropped them as they decided the song was too similar to a successful single they had just released by the new english band 10cc. This dealt a death strike to the band, though excellent guitarist Pierre-Alain Kessi has remained in music and won awards as one of Switzerland's best. Basel's Ertlif are up next. They made one self-titled, privately released semi-hard prog album in 1972 with lots of Procul Harum style organ work. It is reasonably consistent throughout with decent vocals from Richard John Rusinski, sung in English. This is a very early Swiss prog release, one of the first in fact. My favourite tracks of theirs are 'Plastic Queen', which is only available as a bonus on re-issues and 'The Song' which is an original track from the album. The band are apparently still a going concern and they have a recently updated site with a biography in Swiss at http://www.ertlif.ch/bandstory.html, and there is some more info at Alex Gitlin's site. Track 12 comes from Pacific Sound, with mournful organ work. 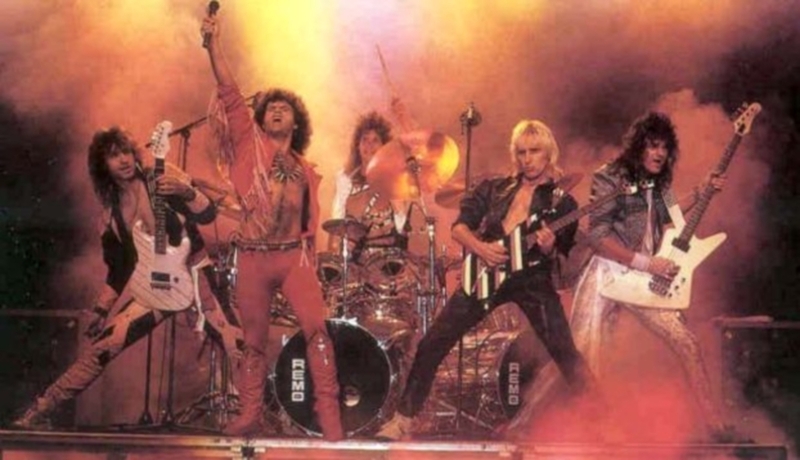 You can read a little about them back in Vol73 when I used them previously, and on to our penultimate track from Solothurn's Krokus. They started out with an identity crisis, their self-titled debut in 1976 was a full-on prog rock album with a budget Roger Dean rip-off cover to boot. The second album was more in the style of classic hard rock like Deep Purple, and from the third on wards, 1978's 'Pain Killer' (Swiss title, aka. 'Pay It In Metal' elsewhere) they took it upon them selves to become Switzerland's answer to AC/DC. As the imagery of Heavy Metal exploded in the 80's they took it in and the AC/DC sound turned on to Metal, they reached enough notoriety to have their song 'Eat The Rich' covered by Motorhead. Next to a mysterious band called Lear. There was a series of releases called 'Swiss Rock History' in the 90's, Lear was the subject of Volume 1, a band called Taurus was in Vol 3, though I'm dammed if I can find out who Volume 2 was. The Lear material has strong female vocals, great guitar and nice driving Hammond organ. Quite an unusual setup for this county. 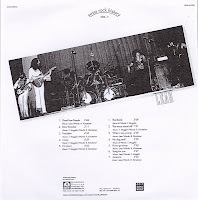 If anybody can shed any more light on this band then please drop me a line, I do not even know what year these Lear recordings were made, the vague period of 1969-79 is stated from what I've seen so far. This is a late addition to the comp, kindly suggested in 2015 by TDATS fb group admin Martin Smith. 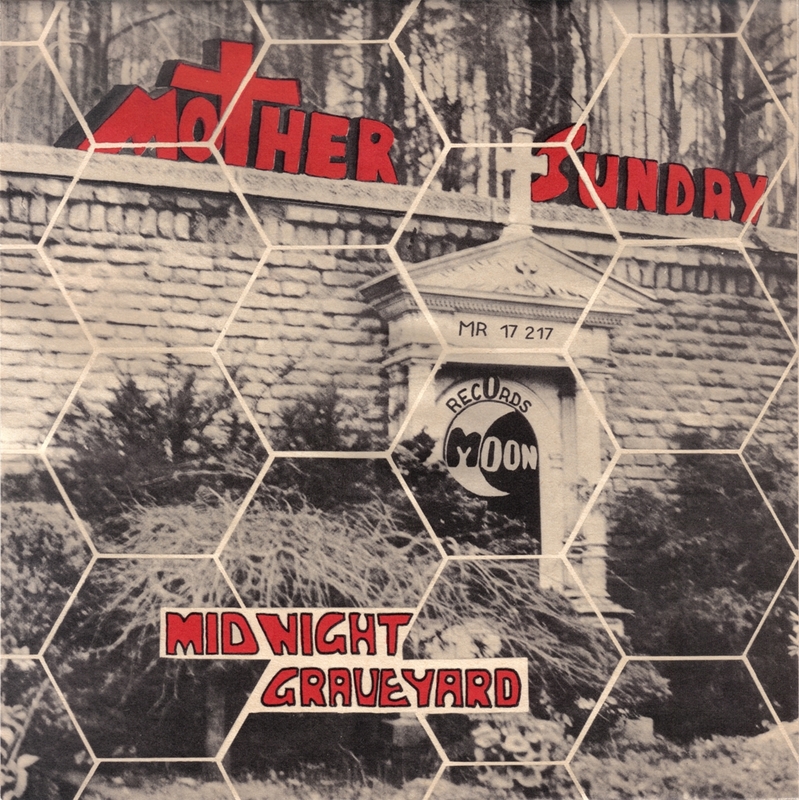 McChurch Soundroom was an eclectic psych free blues rock ensemble that has close relationships with krautrock, in particular with the heavy, stoned jazzy sound of Nosferatu (see Vol116), but also with folkish bands from England (Jethro Tull first era). Their original LP "Delusion" was released in 1971 on the legendary Pilz label (Popol Vuh, Wallenstein, Witthuser & Westrupp etc). This psych folk underground act is now cult. It was engineered by the famous Conny Plank (see Vol116 Conny Special) at Star Studio Hamburg.